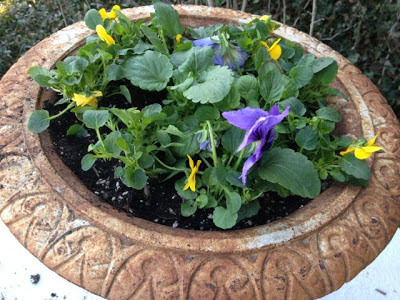 For pansies are one of my favorite flowers! 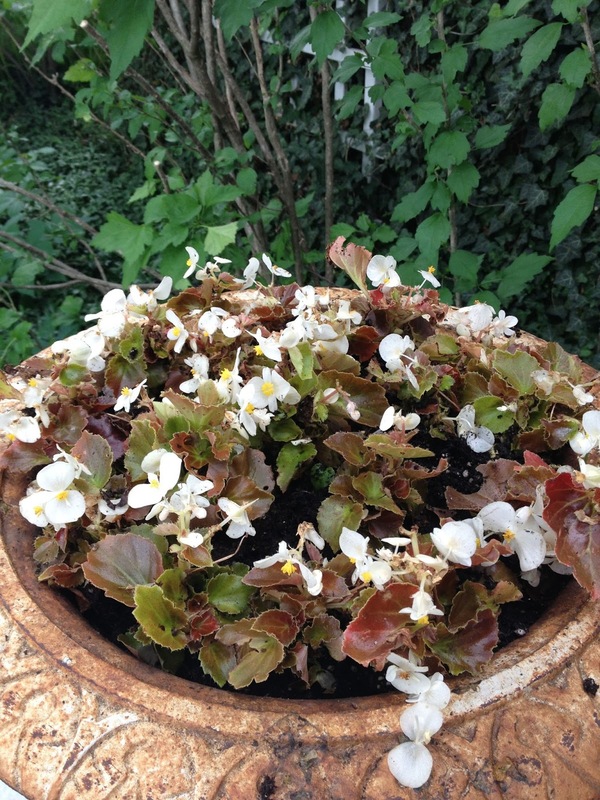 It's the longest that I've had pansies! 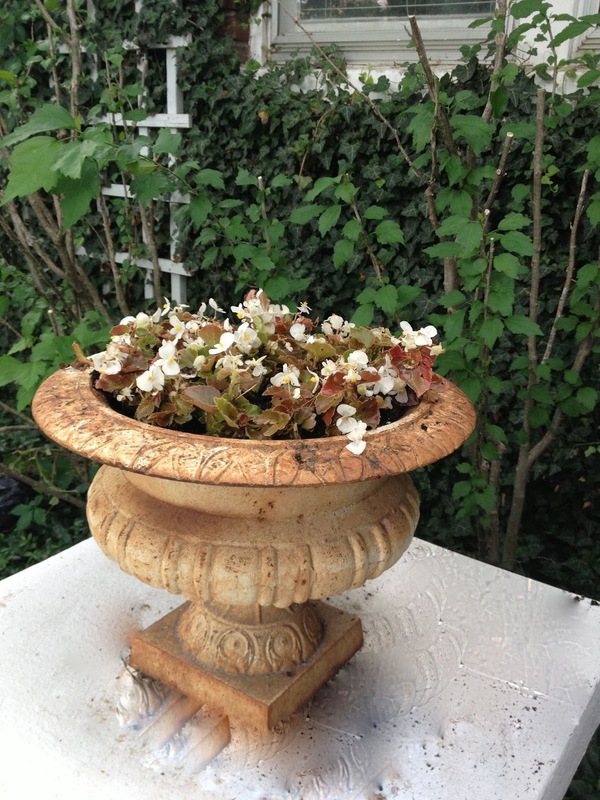 I have found begonias are a great pot plant for the prairie. 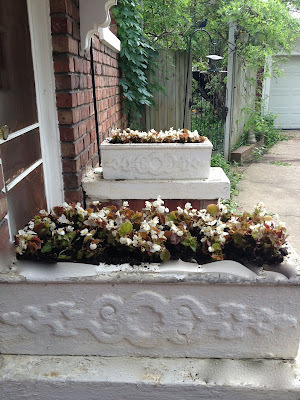 It makes the side entrance seem "brighter"
And I love the name of this variety of begonias . . .
Now . . . finally all of the planters at Linderhof are now filled with annuals! And will be replaced with Winter evergreen! I had to pull my pansy's more than a month ago, we heated up rather quickly. 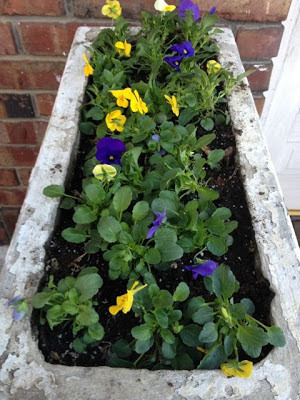 I am able to plant my pansies in Nov. so I get to enjoy them for more months. I am always saddened though when it's time to pull them up. 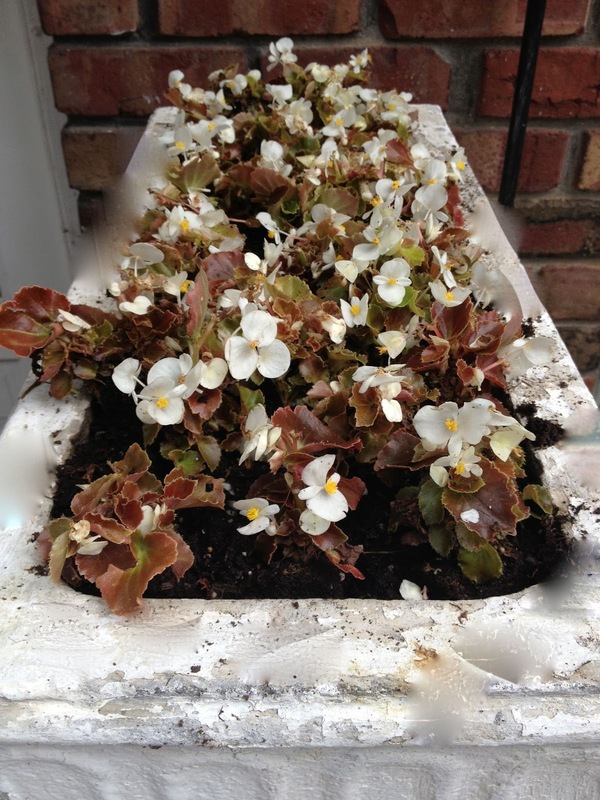 I am now in the process of replacing other things in my flower beds that are spent from the HHH. I love your choice of begonias in your planters and the name of them, LOVE it. 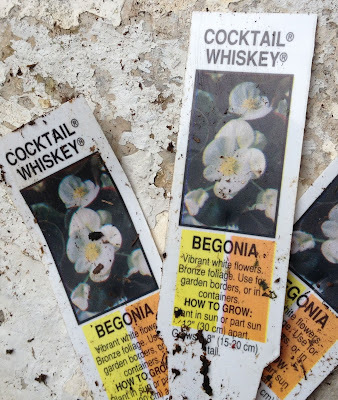 Pretty begonias. My pansies gave it up this past week. Summer is here! 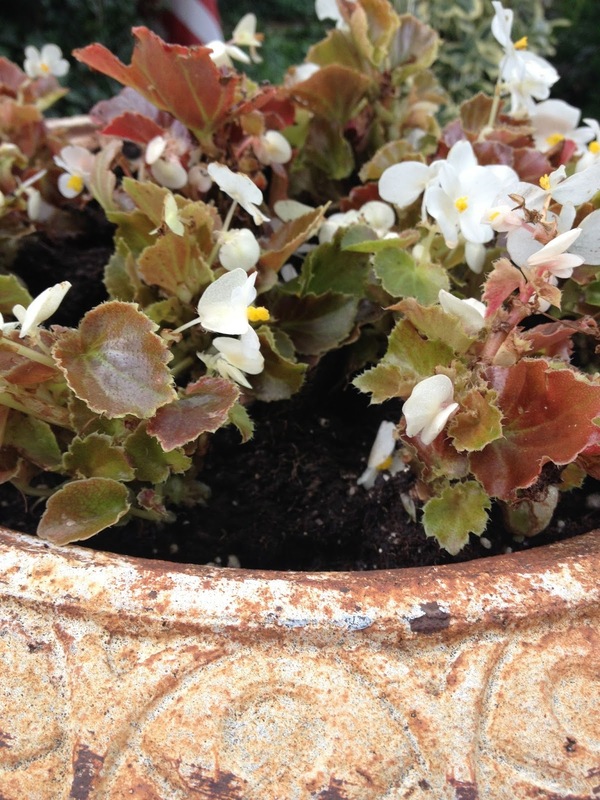 The hue of your begonias combined with the planters @ Linderhof is breathtaking!!! Luckily, we too, have enjoyed a cooler wetter Spring!!! Having live plants on our porch has truly been a treat!!! 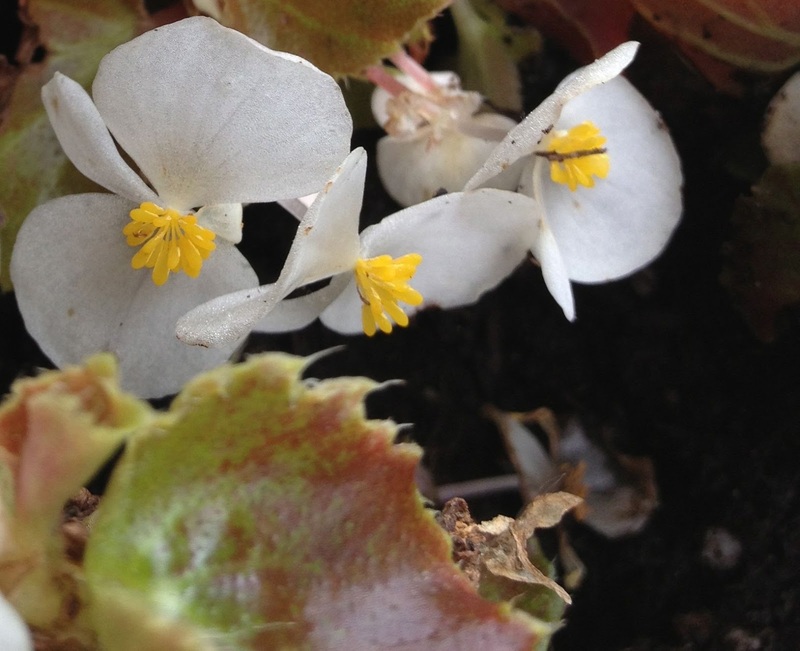 The contrast of the leaves against the white begonia blossoms is lovely.